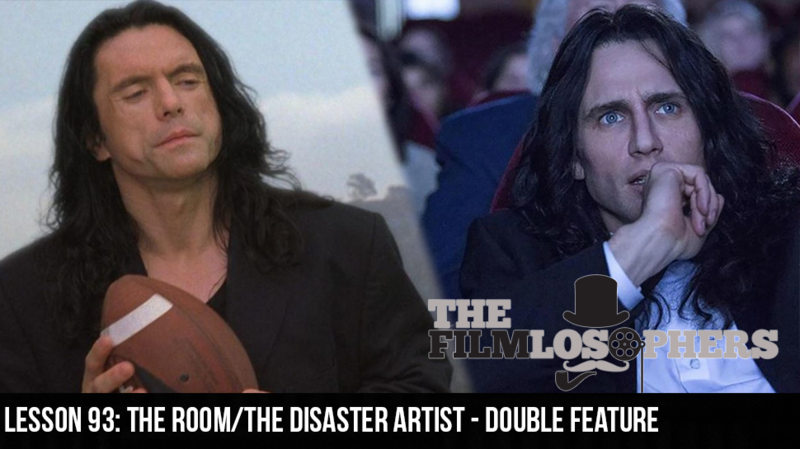 The Filmlosophers, Eddie Villanueva and Chad Riley, are joined again by Spencer Williams as they step over the threshold and into the realm of B-movies, diving deep into a double feature of The Room (2003) and The Disaster Artist (2017). The Room was directed, written, produced and starred by the mysterious Tommy Wiseau, as well as Greg Sestero, Juliette Danielle, and many others. The Disaster Artist, directed and starred by James Franco, is based on Greg Sestero’s best-selling tell-all about the making of Tommy’s cult-classic disasterpiece, The Room, and what all transpired behind the scenes.